On arrival, these meagre supplies would be immediately overlooked as the cupboards and fridge were filled with fresh food – glossy black aubergines and delicate zucchini flowers, red-ripe plum tomatoes and earthy lettuces, dozens of yellow-yolked eggs from our neighbour’s chickens, a round of Tuscan bread, a freshly baked cake and baskets of soft, plump fruit – however every so often we’d discover something unusual that this friend has left behind; a jar of unusual spread (although he probably said the same about our Marmite), an unknown brand of coffee or, on some occasions, a bottle of something unidentified. As a little girl, mint was one of my favourite flavours. Aged about four I managed to stain the mouth of my Spot the Dog soft toy green making him ‘eat’ mint chocolate chip ice cream at a party, and the following year I can remember dragging my parents around for what seemed like hours one afternoon searching for a bar that would serve me the same flavour. I learnt to make my own mint ice cream at home with my Mum, and when we went to the seaside in Italy I’d always opt for the bright green toothpaste-like treat of a mint granita while the rest of my family went for lemon. Unsurprising then, that when a bright green bottle appeared in the kitchen cupboard in Italy, I decided it needed to be tried. Crème de menthe is known for its bright green colour and strong minty properties, made by steeping dried peppermint leaves in alcohol to impart their oil. It’s also a key ingredient in the classic grasshopper cocktail, which later evolved into a chiffon pie of the same name – made famous by Nigella – and at 24% proof it packs a fairly alcoholic punch. To all intents and purposes the bright green bottle I discovered in Italy was exactly like this liqueur, but looking back I think that a) my seven year old self probably couldn’t have handled quite such an alcoholic hit on a sunny afternoon, despite the fact that I’d diluted it like squash and b) my parents probably would have noticed and kicked up a fuss. Most likely it was just a mint cordial or simple syrup for cocktails, but either way, whenever I taste crème de menthe, it always makes me think of that hot Italian afternoon in my childhood. Last weekend I wanted some outside inspiration in the kitchen, so I asked Carnivorous Boyfriend if there was anything he especially wanted to try. While I’ll always tend towards chocolate in desserts, CB usually heads in one of two directions – a demand for butterscotch on everything (read more about this here), or some sort of pie. In this instance he went for both, excitedly asking if I would make a Grasshopper Pie. Grasshopper Pie isn’t something I’d ever come across in my childhood. Research suggests that this sugar sweet, chiffon-soft, lurid green concoction is American in origin, inspired by the grasshopper cocktail. A simple, slightly trashy but totally delicious combination of crushed chocolate cookies, marshmallow, cream, more chocolate, booze and butter, it’s unsurprising it was reinvented and presented to the UK market by none other than the great Nigella Lawson. Since Nigella’s first book came out in the late nineties I’m not entirely sure where CB’s Mum got hold of the recipe in 1980s Doncaster, but clearly she was well ahead of the retro resurgence . . . Looking at the list of ingredients for Grasshopper Pie, I felt a little uninspired. The gloopy marshmallow mix seemed just a bit too sickly and simple, so I decided to have a play around with the basic ingredients and adapt the recipe to something that would satisfy both my kitchen cravings and CB’s request. 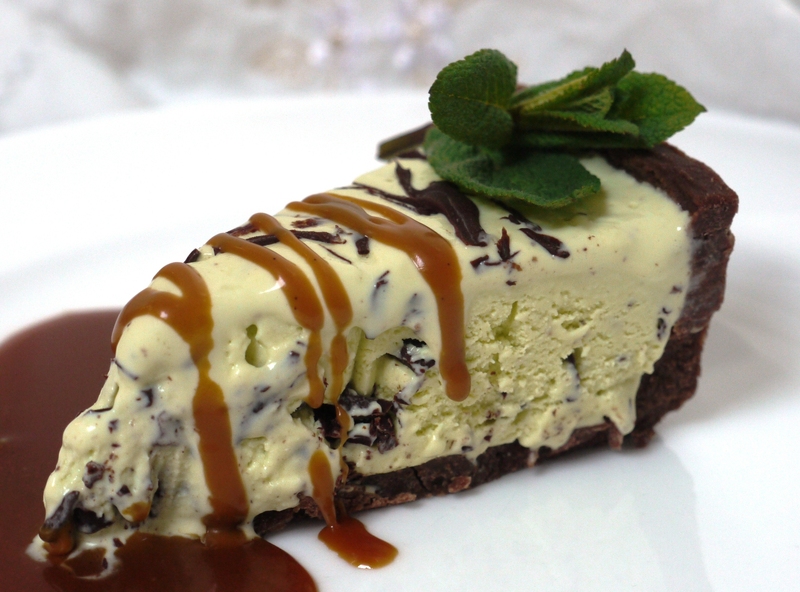 The result is this mint chocolate chip ice cream pie; a beautiful minty custard frozen inside in a rich, chocolaty Bourbon biscuit base. Like the pie which inspired it, this dessert is unashamedly trashy to look at with a soft green tinge and thick biscuit crust, but achieves some degree of elegance through the delicate ice cream inside. The addition of dark chocolate to the biscuit crust keeps this pudding just the right side of sweet, but don’t be tempted to use milk or you’ll lose that lovely contrast of fresh mint and bitter chocolate. I’d also thoroughly recommend steeping mint leaves in your custard rather than using peppermint extract for a slightly more subtle flavour, although if you’re going all-out trashy that’s certainly an option. And be careful how much crème de menthe you add – you just want to include a tiny taste for colour and flavour. I often hear people say that ice cream is a summer dessert. I completely disagree, but if you still need convincing, why not put it in a pie? It might not be the most elegant of desserts, or the most impressive, but there’s something about slicing into a slab of cold ice cream on a buttery biscuit base that will bring a smile to the coldest and darkest of days. And maybe, just maybe, transport you to a warm Italian afternoon . 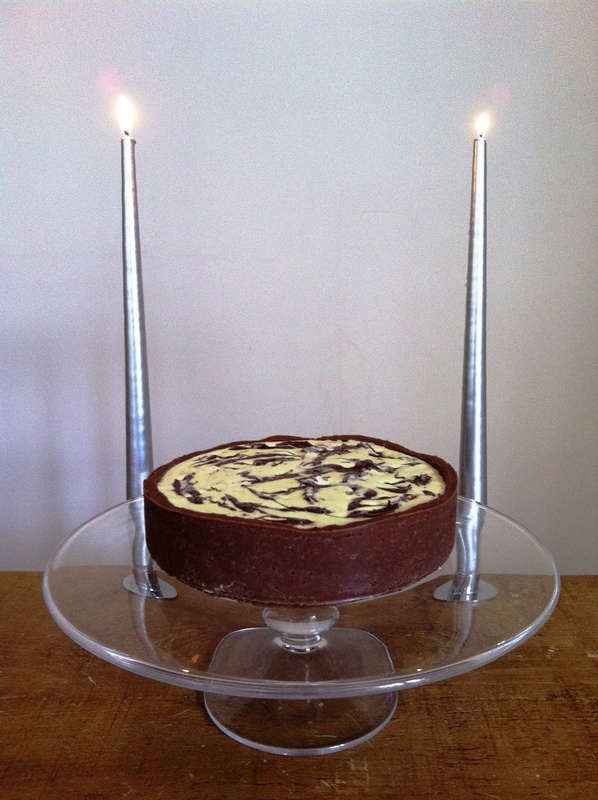 . .
Line a 23cm round tin with baking parchment. Blitz your biscuits in a food processor to fine crumbs. Melt the butter and chocolate together then stir into the biscuit crumbs. Press the mixture into the bottom and sides of your prepared tin in an even layer and put in the freezer to set. Warm the milk, sugar, 250ml of the double cream and salt in a pan until the sugar dissolves. Add the mint leaves and stir until immersed in the liquid. Remove from the heat, cover, and set aside to infuse for one hour. Strain your minty milk mixture into a medium saucepan, mashing the mint leaves into the sieve thoroughly to make sure you extract as much mint flavour as possible. Discard the mint leaves and put your remaining 250ml double cream in a large bowl over an ice bath. Whisk the eggs in a large clean bowl until light and frothy. Rewarm the milk and mint mixture then pour over the egg yolks, whisking continuously until combined. Return the whole mixture to your saucepan and stir over a medium heat until the custard coats the back of your spatula. Strain your custard into the ice cold double cream. Whisk until cool over the ice bath, add the crème de menthe then chill overnight. When ready to make your pie, churn the custard according to your ice cream manufacturer’s instructions. Meanwhile melt your dark chocolate over a gentle heat. When your ice cream is a couple of minutes from finished, drizzle a very thin trickle of warm melted chocolate into the ice cream machine, reserving a couple of spoonfuls. It will harden on contact with the frozen ice cream, while the paddle will break it into tiny chocolate flecks. Remove your pie crust from the freezer. Pour the ice cream into the tart case and smooth flat. Drizzle over the remaining chocolate to decorate. Return to the freezer to set hard. This pie is best removed from the freezer 5 – 10 minutes before serving to allow it to soften slightly. I served mine with a salty caramel drizzled over, but it would also be delicious with chocolate sauce or even whipped cream and marshmallow for a more literal interpretation of a grasshopper pie. 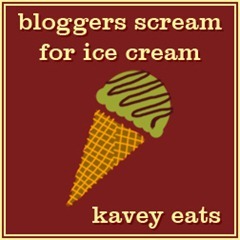 I’m entering this post into the wonderful Kavey‘s Bloggers Scream for Ice Cream Challenge. Last year she asked me to come up with a special ice cream recipe for her site (these Salty Snickers Ice Cream Bars) and this year she’s spreading the ice cream joy a little bit further with a different challenge every month. February’s focus is custard-based ice creams, and anyone can take part so do get involved, or check back next month for more ice cream inspiration! Look delicious! 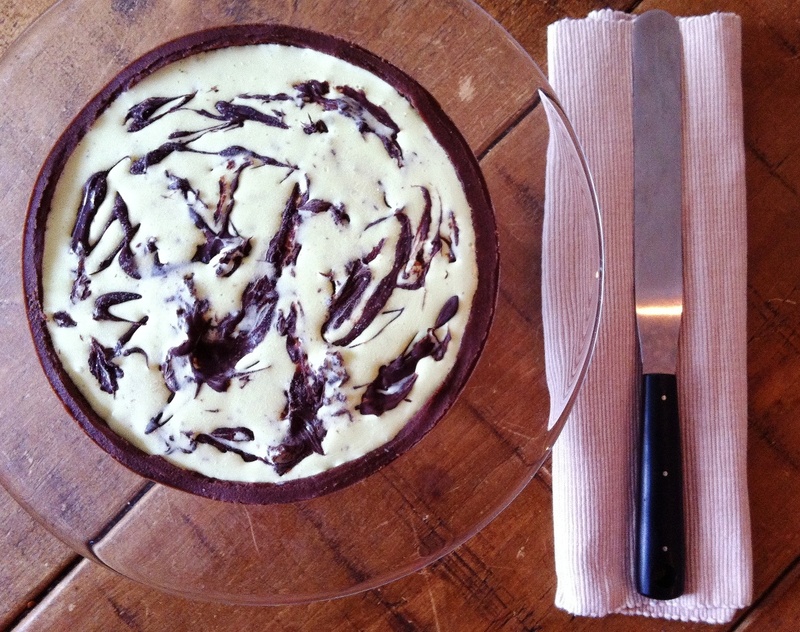 I was interested in grasshopper pie but deterred by the ingredients too – this is a great way to make it your own. I love that mint ice cream recipe, it’s yummy. On my goodness. I think this may be my dream dessert! 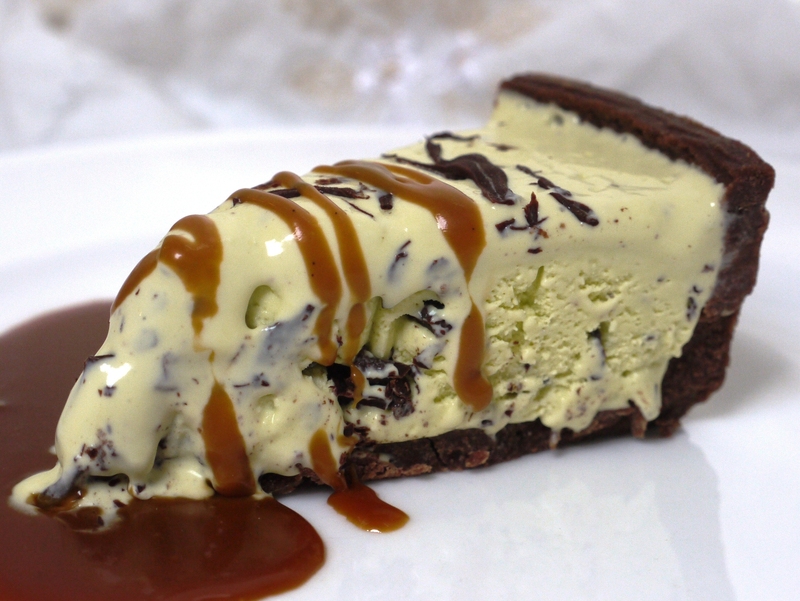 I love the combination of that smooth ice cream with a crunchy base – what an inspired adaptation of grasshopper pie! Oooh, I love mint choc but sort of think of it as being a kid’s thing so I’m delighted to see it made more grown up. Love it! Amazing. Love how you’ve added butterscotch on top of the ice cream and the chocolate. Inspired idea. Lovely post to read … and the pie looks and sounds amazing! Jules – better than the peanut butter blondies? Kathryn – it’s a good combo, like an ice cream sandwich but a bit easier to eat! Miss South – I know what you mean…maybe it’s because it’s green? Anyway, definitely not just for kids! Skye – the caramel sauce worked really well, although it was delicious on its own too. AMAZING. Mint chocolate chip is simply without comparison in the ice cream arena. Oh wow! Looks so delicious! Yum. Another reason to justify buying an icecream churner. I love Choc &mint combos. Elaina – thank you, you too! Lorraine – then you should definitely try this! Su Lin – yum, can imagine a coffee ice cream pie would be delicious. Mint chocolate chip is one of my favorite ice cream flavors (after eight in Italy, as I am sure you know, after the chocolates) and I love a mint granita in the summer. The rest of my family, and my husband too, hate anything mint flavored and I have always been mercilessly teased about it. So nice to share my love in the blogosphere… a beautiful pie you made there. Wow. I must admit I am not big on desserts but this recipe has got my mouth watering… or is it my eyes because I am out of Creme de Menthe right now? I am SO making this – I might even let the wife and kids try some once its done! Must make this for Stud – he’s a bourbon biscuit fanatic! !